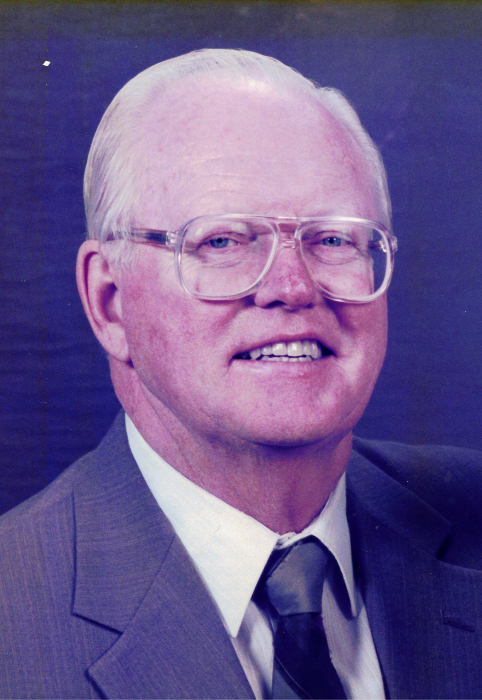 John Westrum, 87, of Apple Valley, MN died surrounded by family, on Thursday, January 17, 2019 at the Legacy of Farmington. Born December 11, 1931, to Nora D (Kipp) and Edgar F Westrum, Sr., John William Westrum was the last of six children to join the family, and the fifth boy. The brothers enjoyed hunting and playing together all through their childhood and adult lives. John graduated from Albert Lea High School in 1949, completed his Bachelor’s degree in three years at the University of Minnesota, and subsequently earned a Master’s of Business Administration. John married Janice Cook (Cooki) in 1952, and together they raised three children, John Jr., Roxanne, and Keith. John initially joined his father’s business, Westrum Insurance, then worked at Smith-Douglass Fertilizer as Office Manager, and Lea College as Comptroller, all while living in Albert Lea. In 1968, he was employed at Jostens Inc. in Princeton, Illinois. After a brief time with Sather Cookie Company as a Vice President, he returned to Jostens Inc. in Minneapolis. In 1989, he joyfully took an early retirement. He was an Eagle Scout who exemplified the Scout Oath: On my honor I will do my best To do my duty to God and my Country and to obey the Scout Law; To help other people at all times; To keep myself physically strong, mentally awake, and morally straight. This was evidenced in many ways including John’s generosity with his time, his resources, his advice, and his toys -- kites, chainsaws, boats, snowmobiles, log splitter, trailers and trucks. Acts of service with and for others were a prominent part of his life, especially in retirement. He was an enthusiast of boating, water sports, and pyrotechnics. John was preceded in death by his parents, sister Marion, and brothers Edgar Jr., Robert, Kenneth, and Richard. He is survived by his loving wife, Janice (Cooki), his 3 children, John Jr. (and Judy) Westrum, Roxanne (and Jeffry) Thompson, and Keith Westrum. He has influenced many and leaves a legacy of six grandchildren, Jason Westrum Ogdahl, Laura (Westrum) Hobbs, Deborah (Westrum) Tobias, Carolyn (Thompson) Finch, Thomas Thompson, and Paul Thompson, and ten great-grandchildren, soon to be eleven. He is also survived by his sister-in-law, Elaine Westrum and many loving nieces and nephews. Funeral services will be held at 11 a.m. on Saturday, January 26, at Trinity Evangelical Free Church of Lakeville, Minnesota. Visitation will occur one hour before the service at the church. Burial will be at Graceland Cemetery in Albert Lea, MN. Memorials suggested to: Friends of the Mississippi River, Pheasants Forever, Boy Scouts of America, Trinity Evangelical Free Church, Reach Global Joshua Team or help a neighbor in Big John's honor! That would be honoring to his memory too!